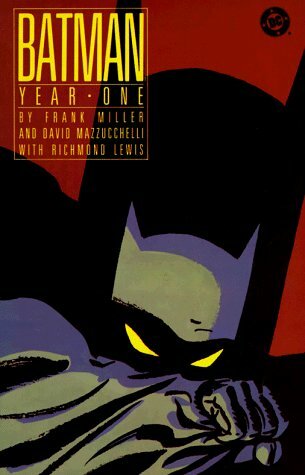 I know, there are hundreds of Batman comics out there, but trust me, if you want to get to the crux of Batman, then this is the book you need to read! This flawless piece of art was the inspiration for 'Batman Begins', this book is as much about Commissioner Gordon as it is about Bruce Wayne's foray into the night dressed up as a bat! The art and the colouring is of the classic style of comics, very unlike the graphic complex comics that we see today, the artwork is simple yet compelling, the story is wonderful and this one is a must read! Osamu Tezuka is definitely the GOD of comics/manga/ everything. 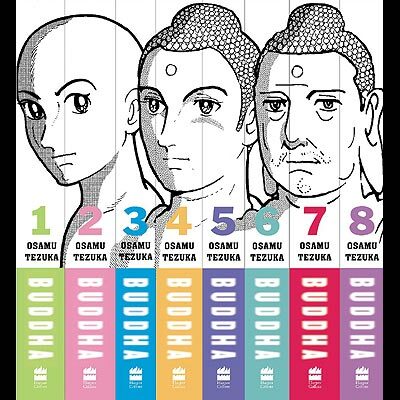 This was his last epic, and what an epic this is :) As the name suggests the set of 8 books, tell us the story of Buddha, from his birth to his Moksha. Tezuka introduces some ficitonal characters to add comic relief and move the story along. This book intorduced me to Tezuka and his art and since then I have been hooked! 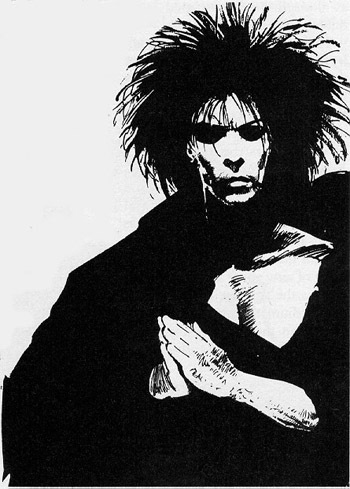 I am a big fan of Neil Gaiman's writing, American Gods, Neverwhere etc but Sandman his graphic novel about the Lord of dreams a.k.a Morpheus is unparralled. There has been no protagonist darker that the lord of dreams, the Sandman pack consisting of over 200 books is a long read, but each subset can be read on its own, though it interwines with the others. I have the entire collection in .cbr format, and its a great read! Unconventional artwork(to my untrained eye), fast paced story telling, with the central theme being vengeance, it cannot get better. Add Frank Miller to the equation and you get a dynamite of a Graphic novel. 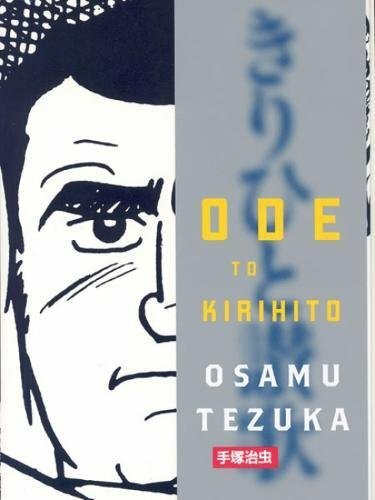 It has been a great buy, Tezuka does not dissapoint in this medical thriller about a disease that turns its victims into dog like beings before taking their lives, and how Kirihito, a young doctor decides to get to the bottom of the cause for the disease only to succumb to it while doing his research in a remote eerie village that seems to be the source of the disease. He does however manage to figure out what causes the disease, but a plot by some authorities and a set of unfortunate circumstances ensures that he travels far and wide, getting kidnapped to be displayed in a freak show, getting beaten up mercilessly by villagers, hunted by his foes and aided by some strange allies he makes in his journey. Made popular by the movie, but a classic book in itself! Oh yes, Lucifer the fallen one makes an awesome hero, a worthy protagonist, as he embarks on a set of adventures with oodles of style and charisma. Book(s) that I have read but find over rated! Ooh. I love this post. :P The Sandman series is ab-so-lute-ly EPIC. Brilliance! arright :) next up will be preacher! I read Sandman first and Lucifer later. The latter starts off well enough but soon meanders. I found the later episodes to be heavy on pseudo-theology and light on story telling. Have you read the Death spin-offs? There are two really fascinating volumes centered on Lady D namely "Death: The Time of Your Life" and "Death: The High Cost of Living". If you like Alan Moore then check out "V for Vendetta". Like Sandman "V" has a very unlikely protagonist. There is also "The Killing Joke" by AM, one of the top 10 Batman stories I have ever read. I have read all the books you mention, I liked the death spin-offs, but my fav Lucifer book was "Mansions of Silence", or something similar. I am currently reading 'Preacher' as recommended by Suraksha, and it is quite decent, except that it reminds me a lot of Lucifer, which I rate higher than this. V For Vendetta with all its wonderful prose and alliteration is good, and so is "The killing joke" I quite like that one too along with "The man who laughs"
so what other Batman stories do you rate highly ? The 'No Man's Land' series. I recently read 'Joker' by Brian Azzarello. Excellent book, though it is more about Joker than Batman. Not entirely surprising given that Azzrello was the author of '100 Bullets'. Try 'Maus' by Art Spiegelman. It's one of my favourites. Along with 'The Dark Knight Returns', 'Watchmen' (Overrated? Really?!?) and 'The Killing Joke'. Watchmen is overrated as far as I am concerned, I do NOT think the prose there is wonderful or that Moore has doen something out of the world, its just another average graphic novel, that is as popular as it is because it is American. @hydeous: Completely agree on Maus. I'd add Persepolis to the list. Not in the same class as Maus but offers an interesting (and rare) insight into Iran/Persia. Ah Persepolis, that is quite a nice read. Agreed, though it did seem a bit of drag near completion. but a great window into Iran. I took Suraksha's advice and read Preacher, but I am afraid I was left unimpressed at the end of it. I shall go out on a limb and say that the 42 episode "Mahabharat" by Amar Chitra Katha is brilliant as well! I was cleaning up the book shelf and found the entire bound series. I have the three book Mahabharata set. I really enjoy reading it (always have) and hope that it stays in print for future generations. That said I think that it is a rather mediocre execution of a great idea. The quality of the drawings is poor and has further degraded in the newer print runs. The Doordarshan-style depiction of the battles is also disappointing. I am keeping my fingers crossed that someday these books will inspire someone talented to come up with a different rendering (akin to what Peter Brook did for the televised version). :) I like or dislike books/movies/ everything else I judge based on the joy they give me at the time I experience them. And I must say that Mahabharat was wonderful. This is old school, one cannot expect the "refined" comics that one reads now. having said that I am afraid I will have to disagree on the art part, I think the artwork is great! The Mahabharata series first came out during the mid 1980s. Considering that Maus (1980), V for Vendetta (1982), Sandman (1989), Watchmen (1986) were all published in the same decade, I am not sure I understand what you mean by "old school". The "refinement" is not a new phenomenon either. We will agree to disagree on the artwork. 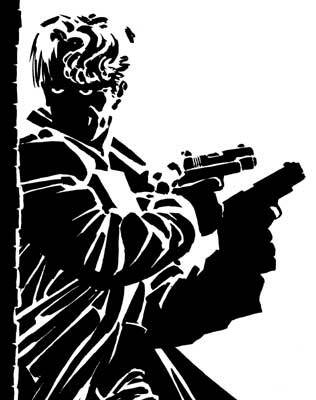 I believe that MB's artwork cannot hold a candle to Watchmen or V, let alone Sandman. Only the rather plain drawing of Maus is anywhere close. That said, any comparison has to be made keeping in mind that MB is a simplified adaptation of a great (and familiar) epic. The others were new and original (and far smaller) stories. Question: Why does MB have to hold a candle to Watchmen? :) Would you try and judge a "Sholay" (1975) with a "The Bicycle Thief" (1948) ? Do you think that the creators of Mahabharat had a chance to read "Watchmen" let alone be influenced by it? I doubt it. At that point the influence would mostly be from books such as "Misha" (This is a children's magazine from the Soviet Union that I used to subscribe to, it shut down in 1990), hence, how does one end up comparing one of the first set of comic books made in India to a set of comics created in the USA? 1980 in India does NOT = 1980 in America. Going back to Tezuka, his comics were up and running in the 1950's ! So when I say "old school", it does not necessarily mean in terms of time as we understand it, it means in relation to how India was culturally then. Remember these were pre-liberalisation times. It doesn't *have to*. The publishers (and admirers) have ample reasons to be proud of it. The pride however still doesn't negate the fact that the artwork doesn't compare. Wrong analogy. Comparing MB to other comics is more like comparing Sholay to 'Once Upon a Time in the West' and various spaghetti westerns. Sholay certainly was a revolutionary movie *in India*; it is by no means a great movie. I understand and appreciate the *cultural significance* of the MB and the whole AMK series of books. That does not mean that they have great artwork. While I do value the context and acknowledge the sincerity of the effort behind MB I judge its artwork for what *it is*; not the good intentions. Having good intentions does not make artwork automatically "great". The publishers deserve Kudos for starting a trend with AMK and MB in Pre-lib India - for making a creative contribution to society. Praise them for that. But claiming that just because they worked in a restricted world their *drawings* (and drawings alone) should be deemed "great" is, in my opinion, ridiculous. But don't you get it? ?